Bowden & Hugh Dobbins were born and grew up in Atlanta. 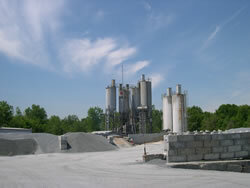 The brothers owned and operated Southern Concrete Company, at one time the second largest ready mixed concrete producer in Georgia. The business also produced concrete block and pre-cast concrete products. Its building materials operation distributed hard goods, specialty building material products and small & medium size construction equipment. During the recession of the early 1970's when construction came to a screeching halt in Atlanta, the brothers realized the business might not survive and therefore undertook a multi-year, self liquidation plan. Working with their lender, C&S Bank, the Dobbins were able to pay off 100% of their debts by early 1976. C&S was experiencing its own problems at the time and were impressed with the manner in which the Dobbins handled their own liquidation. They asked that the brothers assist the bank in appraising & liquidating some of their troubled accounts. Thus The Dobbins Company came into business. Having been on the debtor's side of the table has given the Dobbins a unique insight into the intricacies and emotions that accompany any type of liquidation. The Dobbins Company may be the only liquidation company in the country that has this personal perspective. In 1982, Bowden's son Rick Dobbins joined the firm. Rick has grown up in this business and now has over 30 years experience working with lenders to meet their appraisal and liquidation needs. Today The Dobbins Company is the premier industrial liquidation and machinery & equipment appraiser in the southeast United States.